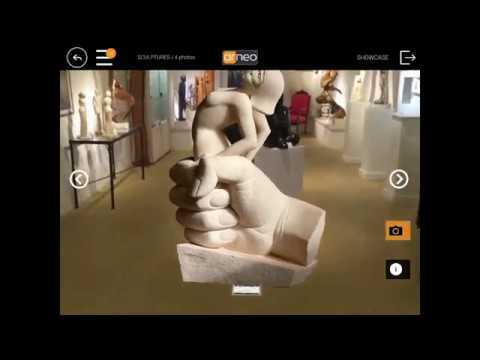 FOR THE WORLD OF ART – Present paintings and sculptures in Augmented Reality ! OTHER ACTIVITIES – Upload your catalog into ARneo to restore real size to all your products ! ARneo will be of interest to other fields of activity where actual product dimensions are important, or when the product is not easily transportable for a presentation in situ. Visiting your prospects, commercial teams will have an innovative tool to stand out from the competition by creating strong emulation around their products among future customers. ARneo is also a powerful communication tool thanks to its sharing functions of captures in Augmented Reality. The AR captures complete commercial offers in order to greatly accelerate the decision-making of the customer! A must for art galleries! 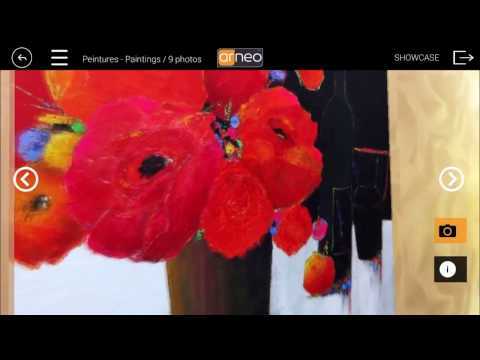 Essential, this application is very easy to use and allows us to present all artworks in real size, from near or far, without manipulating them. Also a real revolution for testing the artworks at the homes of our customers without risky transportation! ARNEO is a revolution in my profession ! I now present my sculptures and my monuments during all my travels ! I share an intense pleasure to finally present my works in their real dimensions outside my studio gallery ! When traveling, we present our customers all of our heating stoves directly in situation in their home! We also really optimize our commercial offers with screenshots taken with the app. An indispensable application for any artist ! ARneo allowed me to develop my communication very quickly and to save time on transports of my artworks.